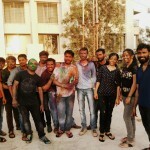 One day we were just sitting in the office and suddenly one of the collegue said, Let’s celeberate holi this time in office. That one sentence of celebration spreaded all over the office and everybody was just waiting for this day eagerly. But we were also worried that whether we will get permission or not. And finally, our wish fullfilled when our director gave the permission to go and have fun. thanks to him! 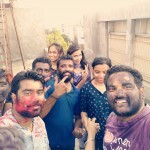 About Holi : Holi is the festival of colors and sharing love which is played worldwide. No age limits to celebrate this Indian Festival. This Festival is celebrated in several countries followed by their country rules and rituals. It is 2 day festival. On very 1st day, People from small kids to young boys used to light the bornfire. This is very famous festival after diwali. It is also said that this festival is celebrated to welcome the summer season. 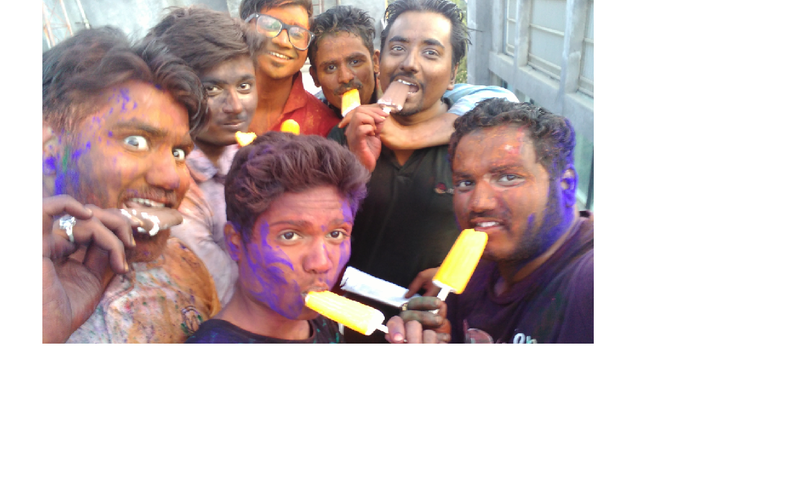 Next day is very amazing as it is only the day when all used to forget all their life’s problems and just used to enjoy this colors festival. Holi is celebrated to remember the story of Holika and Pralhad. On this day, the story of Radha Krishna is also remembered and the kanha used to have fun with Radha by applying color on her face. This prank of Krishna later, became a trend and a part of the Holi festivities. The small kids used to play with water guns and also they used to throw the watered color on strangers even with making the loud noice like ” Bura na mano holi hai” i.e Don’t mind, its HOLI. 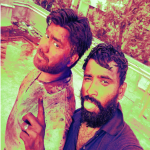 This day is celebrated by applying colors on each other and also the people used to mix the colors in water and they used to throw that colored water on one another spreading the more love, more happiness in the surroundings. Relatives come to meet on this day with the special dishes and sweets like jalebis, gulaab jamun, rasmalai and much more. 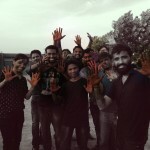 Here In this article I’ll share our experiences of holi celebration at Tecsys company. 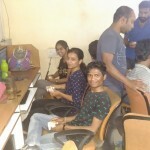 we all the members of Tecsys were just waiting for the day to come and plannings were just going on and on! Finally the most awaited day came. Yupieeeee!!! All entered in office in morning and started wishing each other. As we all have planned that we will complete our given task first and then will start with the celebrations. So all started with their respective works as we were given the certain time period for celebration. It is totally right as work should be given the 1st priority. 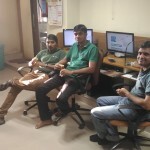 It was around 3:30 in the noon, we all completed with our work. We first had vada pav’s in office only and then we went on the terrace of our office. It was very nice feeling as our director also came to play with us. It was a day full of joy and happiness. Everybody in the office came with the sweets of different varieties, Wow that was yummy! But we controlled our emotions towards sweet as we planned to have it after playing. 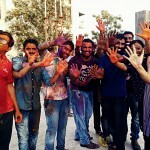 Everybody started with dancing on the holi songs and started playing with different colors. All the team players forgotton about their ages and behaved like kids. Music started and with full of emotions everybody started dancing. 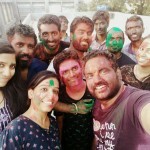 The songs mostly played were : Rang barse, Lets play holi song and many more dj songs. Simultaneously the pictures were clicked by one of our collegue. All the snaps were clicked very funnily and offcourse the craze of selfies were going on between the collegues. Some were clicking in different poses and others in different style. 2 of our staff members were being so naughty and they were simply pouring water on everybody with pipes. All of us were just enjoying and enjoying. We forgot for sometime our professional life and were just playing like kids. . But we did not played with balloons and all. We played with only colors and water. It was around 6 in the evening we rushed towards our home saying bye to each other with funny smiles. That’s it! This is how we enjoyed our day with full of masti, gossips and ended with full of entertainment. One of the memorable day at Tecsys.